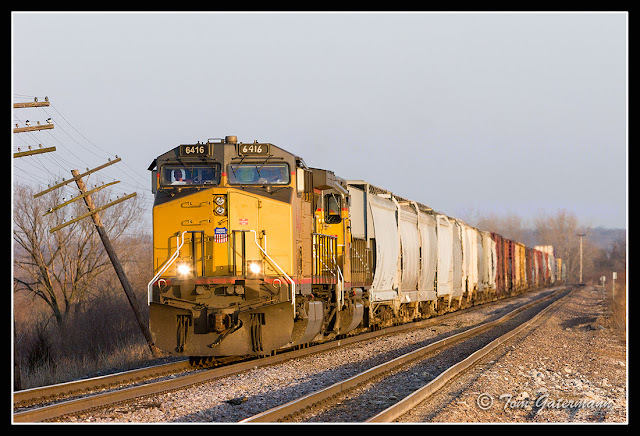 Union Pacific (UP) 6416 rolls north with its train at Flinton Station Road, on UP's Chester Subdivision. The train continued to travel north, making its way toward the St. Louis area. This other Track! It sure needs a lot of Work, You got a Couple of Low Spots and way out of alinement , Need a Major Pull, with Welders Puller's! !